Sea is the cheapest way of shipping to Dubai from the UK. We offer both shared and full 20ft or 40ft container. With us you can ship a few boxes, excess baggage, one piece of furniture or full house content. Are you in a rush and need a speed delivery? 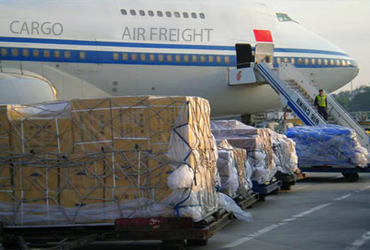 Sending goods to Dubai by air freight is the best solution is such situation. Contact us today and get free shipping costs to Dubai estimate. Shipping to Dubai is always a combination of the road transport and sea or air transport. We offer door to door removals to Dubai. We collect from anywhere in the UK and deliver to anywhere in UAE. When it comes to international removals you have to take care of the goods you want to move. Our UK to Dubai shipping company offers full house or fragile packing services. Have your goods protected and insured. Sending extra luggage does not have to be expensive. We offer cheep excess baggage shipping to Dubai from UK. We send boxes, suitcases, sporting and musical equipment by air and sea. Compare shipping costs! Do you want to know how much is to ship 5ft, 10ft, 20ft or 40ft container to Dubai? We also offer custom build wooden crates tailored to the size of your move. 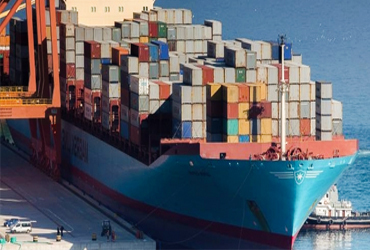 Get container shipping costs to Dubai from UK. Sending furniture to Dubai from the UK can be cheaper if you dismantle and flat pack your wardrobe, sofa, dining table, bookcase, TV stand or double bed. We do both dismantling and reassembly. Do you want to send just 1 box or a few and looking for a reliable courier. Our cheap UK to Dubai Shipping firm will do it. Whether it's just one box or 10 boxes we will deliver them to Dubai from UK by air or sea. If you need some more time to find a place to move in we offer removals and storage. We can keep your goods safe in one of our warehouses in the UK or in Dubai for as long as you require. Sending personal effects and house content overseas does not have to be expensive. By comparing international movers that offer cheap shipping to Dubai from UK you can find a freight forwarder whose moving rates are very competitive. Compare UK to Dubai shipping companies and find movers that offer best shipping costs. Safe money on international boxes and furniture transport. Our international moving services are not limited to Dubai only. We ship to the entire United Arab Emirates especially to – Dubai, Abu Dhabi, Sharjah, Al Ain, Ajman, Ras al-Khaimah, Fujairah, Umm al-Quwain, Khor'fakkan, Dibba Al-Fujairah. Let us know where you want us to deliver your household goods and we will make it happen. We offer part load and full 5ft, 10ft and 20ft container shipping to Dubai from all the UK. We offer removals to Dubai from London, furniture shipping from Birmingham, door to door car transport from Manchester, excess baggage from Bristol, air freight from Liverpool, house moves from Leeds, Coventry, Glasgow, Edinburgh, Nottingham, Sheffield, Brighton and from anywhere you want. The size of your move does not matter to us. We ship boxes, furniture, motorbikes, cars, antiques, excess baggage. We offer door to door shipping from the UK to Dubai and all UAE. We can collect your household goods from anywhere in the UK to delivery to anywhere in UAE. We offer full packing and unpacking, boxes supply, customs clearance, air freight, sea shipping to Dubai, house cleaning. People move to United Arab Emirates for many different reasons such as tourism, business opportunity, search for greener pasture, studies, vacation and others. Removals to Dubai for any reason can be a trying experience for many people. But you don’t have to pass through stressful moments and unpalatable experiences when you are moving to UAE. If you are looking to relocate you should avail yourself of our cheap UK to Dubai shipping services. We are not just interested in getting your personal goods and other items to the desired destination but in making your overall international shipping experience a sweet one. As a leader in the moving industry with well trained professional, we are capable of providing you with our assistance, tips and pieces of advice during the preparatory stage if you call on us. Cheap UK to Dubai Movers will assign one of our professionals to assist you with preparation and planning of the removals to UAE. The personnel assigned to you will collaborate with you in developing a moving plan that will suit your needs. 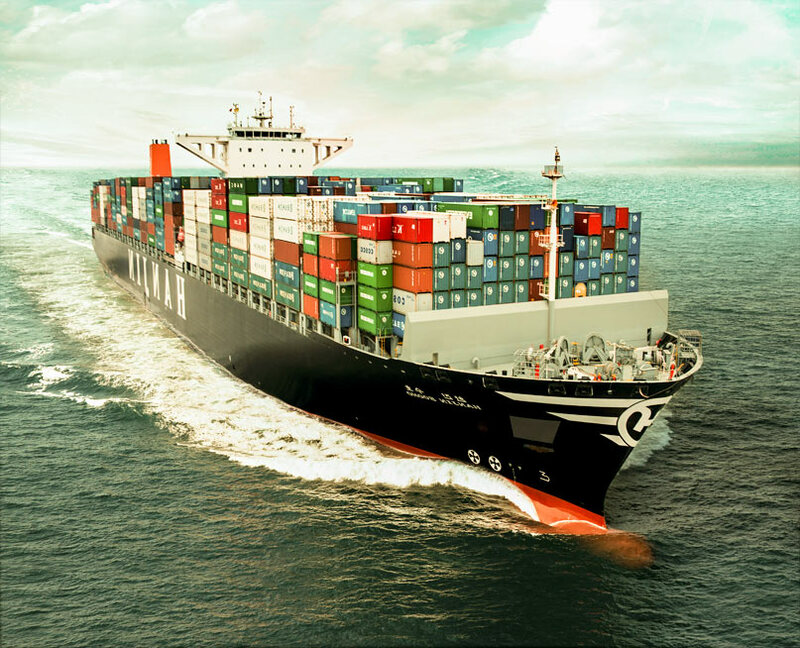 He will explain the various shared container and full container shipping to Dubai methods to you to enable you make an informed decision on which method that will be suitable to you. If you have any question, you should not hesitate to ask him. Our professional shipping to UAE agent is very friendly and thus will be willing to answer all your questions. We provide packing assistance to people that may require it. Our packers will be available at your residence with all the required packing materials including cartons and moving boxes to make your boxes and furniture shipping to Dubai from England, Wales, Ireland and Scotland hassle free. They are well trained in packing various items. In keeping with your instructions, they will pack all items in your home including the furniture if you are sending to Dubai from the UK with them. All cartons are appropriately labelled to make unpacking easy for you in your new location. But you have to pay extra money for this shipping service. When you eventually hand over your property and valuables to us to be shipped to Dubai, you should have rest of mind because your items are in safe hands. UK to Dubai shipping firms will take every necessary step to ensure your personal effects, beds, tables, sofas, armchair, wardrobe, ornaments, paintings and other property are safely delivered to the final port for people that hire our door to port delivery. If you hire our door-to-door furniture delivery to Dubai service, we will ensure that your items are delivered in tact to your doorpost in your new location in UAE. UK to UAE shipping companies are quite aware that you will like to be updated about the status of your shipment. This is why we include tracking fixtures in our partners website. We can also update you via email or telephone if you prefer this means. Our customer care unit is very active and always available on 24/7 basis. So, you can always find out about the status of your consignment or make any other inquiry through them. Cheap shipping to Dubai freight forwarders are polite and will respond to all your queries in a friendly manner. So, do not hesitate to call them in case you have any concern. Alternatively, you can also find out about the status of your shipment from the expert assigned to you. As we promise, he will be with you until your items are delivered to UAE. UK to Dubai movers have nice business rapport with a lot of airlines and shipping companies. So, we can also get a freight to move your item no matter when you call on us. As far as we are concerned, there will always be space for your items even if you have an 11th hour contract with us. We send items such us boxes, personal things, household goods and equipment to Dubai via various means such as road, rail, sea and air. Each has its own advantage and disadvantage. 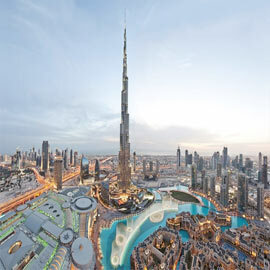 But our expert removals to Dubai will help you to make an option that will meet with your need. Having been in the shipping to UAE business for a long time, we know that accidents and unforeseen circumstances like element of weather can wreak havoc that will amount to loss and damage of cargo. This is why we recommend that you buy our international shipping insurance to cover your paintings, electronic equipment, sculptures, artwork, furniture, TV, computers and other valuables should disaster occur. Though we will always make sincere effort to safeguard your items, accidents can occur at any time and may be beyond any person. With our comprehensive moving insurance, you are covered. Our international moving services to Dubai extend to businesses moving commercial goods, office and warehouse as well as to families, students and individuals planning cheap removals to UAE. No matter how big or little your item is, we will ship it to you. You can compare our shipping costs to Dubai from the UK against other international moving firms' rates and you will see that we are very competitive. You will not be paying more than you should for our shared container services because loads are charged according to their weight or volume. For our full container load, you have to pay for a container in which only your items will be kept inside it. Compare UK to Dubai shipping companies. Are you thinking of shipping your house content to Dubai and relocating to UAE. 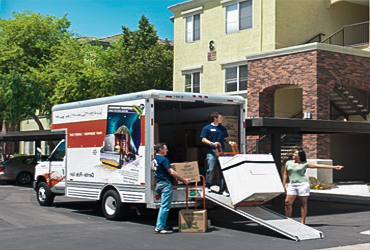 Here you will find some useful tips and advice on what to do before you move. 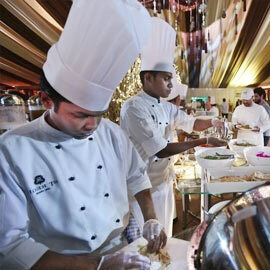 The religion, the way people dress, food, architecture, music and dance in United Arab Emirates will surprise you. It is nothing like in comparison to the UK. 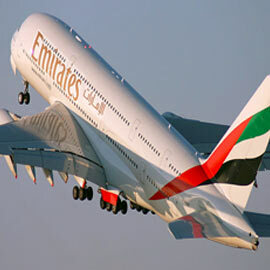 There are many airports in the UK offering flights to UAE. Here you can learn where and how to book a cheap flight and have your excess baggage shipped at low rates! Unfortunately you need to find work before you move to Dubai. You can contact employers directly or use services one of many job agencies. Do you want to be notified about new articles, updates? Sigh up to receive news on your email address.